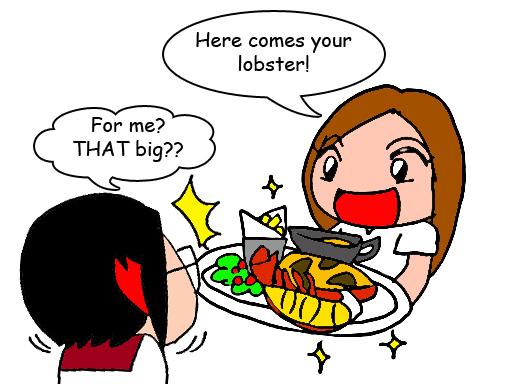 As you all know, lobster comes with hefty price due to its freshness. Many times I do came across having a lobster in soggy form, smell fishy and taste bad! 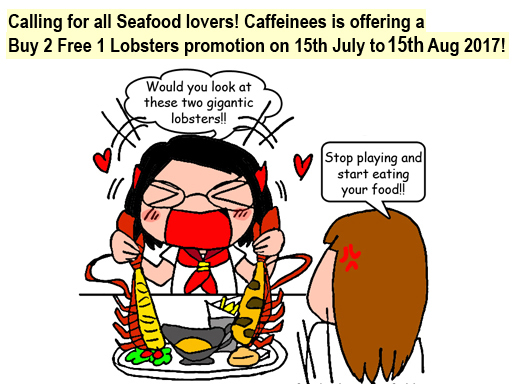 On top of that, this promotion also applies on Giant Live Lobster. 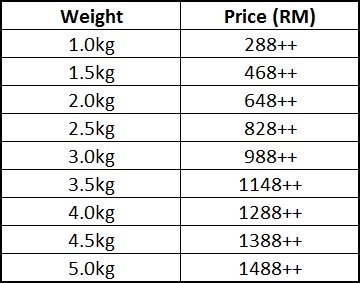 Starting 1kg at the price of RM 288++ each, you can get 3 Giant Live Lobsters fresh caught from their aquarium and cooked on the spot. Now this is something which you wouldn't want to miss having with you friends and family! *2 days prior booking required. 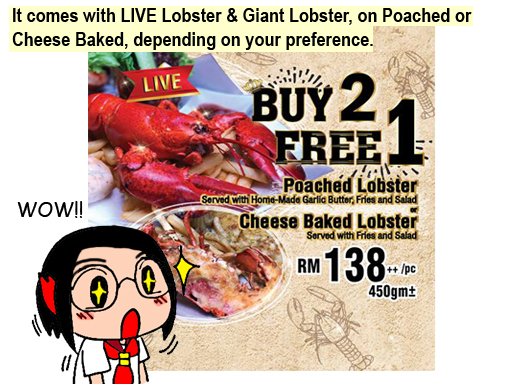 If one/two lobster doesn't satisfied your tummy, how about three with a price of two? Come and indulge yourself together with your friends, family, lovers & gangs for this once-in-rare-times promotion starting on this weekend at Caffeinees, Kampung Pandan!